Pool time in 8 Lanes of 25y, 25m, or 33.3m with Paddock blocks, the Paddock Evacuator fresh air system, and 10’x12’ instructional video board. Constant feedback from underwater cameras and TV carts placed around the deck. Climbing 25’ ropes as a challenge to finish practice. Stretch Cordz, and other new “toys”. 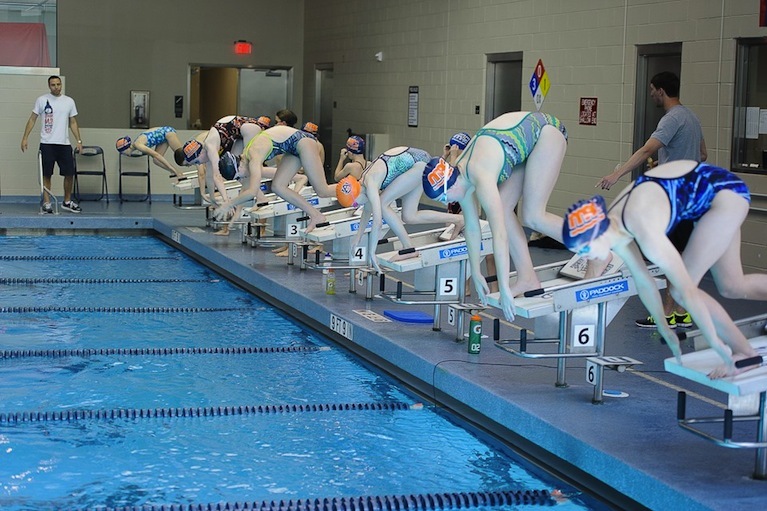 Racing the LED lights of LumaLane’s underwater pacing system; a favorite for teaching paces, fast starts, and fast turns. 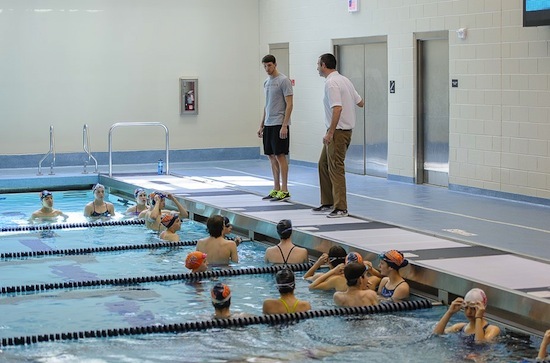 Use of the Queens weight room outfitted with US Olympic committee equipment for Elite swimmers. Clinic sessions from Elite Coaches on any topic you can request—including video references, new techniques, and easy to remember progressions. Elite athlete speakers or coaches to deliver motivational messages (when available & additional charge). Classroom sessions to learn goal setting, nutrition, technique review, dryland, or college recruiting. Enjoy Queens University’s comfortable and safe dorms and popular dining hall.